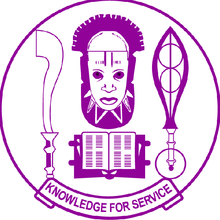 University of Benin, UNIBEN Special Doctor of Pharmacy (PharmD) Conversion Programme Admission Form, Requirements, Course Duration, Application Guidelines and Closing Date for 2018/2019 Academic Session. Applications are invited from suitably qualified candidates for admission into the Special PharmD Conversion Programme of the University of Benin. The main aim of this programme is to develop pharmacy lecturers as well as hospital and community pharmacy preceptors who do not currently hold PharmD degree to be able to apply patient-centered approach in the education of pharmacy students. This special programme is time-bound and is being mounted with the active collaboration of the Pharmacists Council of Nigeria (PCN) and Nigerian Association of Pharmacists and Pharmaceutical Scientists in the Americas, Inc (NAPPSA). This will be the last time that candidates will be admitted into the programme as subsequent applications for PharmD Conversion will be for the regular two years Conversion Programme. (2) a pharmacy practice experience module (clinical clerkship, externship, and simulation exercises) when students will undergo training from a team of PharmD professionals from USA in approved hospitals, community health centres and pharmacies. Students are expected to be on-campus for one week orientation at the beginning of the programme and for the written and oral examinations in the three modules. (1) hold at least a master degree in pharmacy from recognized Universities acceptable to the Senate of the University of Benin who have been teaching in a University for at least one year or be hospital/community pharmacists nominated by their organisations and/or recommended by the Deans of Faculty of Pharmacy in Universities as Preceptors for pharmacy students’ clerkship programme, (2) be registered and practicing pharmacists, and (3) have, at least, passed the West African School Certificate (WASC), Senior Secondary School Certificate Examination (SSCE) or its equivalent at not more than two sittings. For this purpose, each Dean of Faculty of Pharmacy is expected to forward the list of sufficient number of pharmacists working in hospitals and community pharmacies (who do not already have a PharmD degree) he/she is recommending for the training of his/her students in hospitals and community pharmacies and ask such persons in the list to apply for the programme. The Dean should then send the list of his/her nominees to the Dean, Faculty of Pharmacy, University of Benin (Email: pharmd@uniben.edu) on or before 15th November 2018. Candidates should visit the University website at www.uniben.edu from 20th of September 2018, click on ‘STUDENT PORTAL’ and then on ‘Waeup portal’ in the drop-down menu. In the Waeup portal page, click on ‘Application’ on the menu bar, and then on ‘Special PharmD Conversion Application’ and follow the instructions. Candidates should ensure that forms are clearly filled as any application form not properly completed will not be treated. Note that an application fee of N12,500.00 is required to complete the application process. In this regard, the system may re-direct you to a payment gateway to make the payment with either a Verve card, VISA card or a naira MasterCard. Therefore, ensure that the account to which your card is linked has sufficient funds prior to commencing the application process. Closing date of application is 15th November, 2018.